I am the designer of such critically acclaimed adventures as Retribution, Shadowed Keep on the Borderlands and Road of the Dead. I also won a silver ENnie for Madness at Gardmore Abbey. I am the Publisher of Useful Items at Raging Swan Press. Session summaries for my Borderland of Adventure campaign. 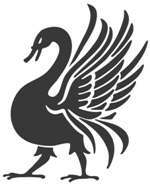 Announcements and discussions regarding my publishing company, Raging Swan Press. In September 2018, I challanged myself to write a 30,000-word adventure. I’ve recently got interested in mapping again. I’m not very good, but here are a selection of my mapping attempts. I am a keen gamer who passionately believes in the Open Gaming License and is dedicated to making my games as fun and easy to enjoy as possible for all participants. Reducing or removing entry barriers, simplifying pre-game prep and easing the GM’s workload are the key underpinning principles of the products I release through Raging Swan Press. I started roleplaying a few days before my 10th birthday when my older cousin introduced me and my sister to Basic Dungeons & Dragons. My sister died a horrible death (chortle), but I survived my battle with the Black Prince. (Looking back on it, the dungeon was riddled with clichés!) The very next day, I purchased the Advanced Dungeons & Dragons Player’s Handbook and my long journey into the deep recesses of geekdom was well underway. The next few years were fairly typical for a young gamer: rainbow coloured dragons, 1,000,000d6 lightning bolts (the DM didn’t like me), killing everything in Deities & Demigods and some very high-level characters (all totally, 100% legal played from 1st-level). Amongst the carnage, I fell in love with the Greyhawk setting and in 1999 (just sixteen short years later) I wrote my first freelance module (Shadows Under Scant, for the RPGA). Getting involved with Living Greyhawk was inevitable and I became a Triad member for the UK shortly before the release of 3rd Edition. Membership of the Circle of Six quickly followed as did several articles for Dragon Magazine and Dungeon Magazine. For the next six years, I busily slaughtered countless Living Greyhawk characters while writing many Core and Core Special events for the campaign. During this time, I landed my first freelance writing gigs for Expeditious Retreat Press, Paizo and Wizards of the Coast. My work has included contributions to several 3.5 and 4e hardbacks, supplements, adventures and a few adventures in the on-line Dungeon. In 2010, I launched Raging Swan Press, where I am the Publisher of Useful Items. Dedicated to producing reasonably priced, quality, easy to run products for the Pathfinder Roleplaying Game, Raging Swan Press enables me to share stories and create engaging, dynamic adventures and situations while dodging a proper job. I pledge that none of my products will ever feature rainbow dragons or 1,000,000d6 lightning bolts. I live in Torquay, England where, apparently, the palm trees are plastic and the weather is warm. I share a ramshackle old mansion with my two children (“Genghis” and “Khan”) and my patient wife. Famed for my unending love affair with booze and pizza I am an enduring GREYHAWK fan. I also read all the comments posted here on my blog. Creighton, I picked up Madness at Gardemore Abbey because of all the good press and because of the Deck of Many Things, but I generally only run old school editions of the game or play in PF games. (I’m also looking with great interest at the upcoming edition of D&D.) Anybody out there you know of doing conversions of your adventure? I don’t know of any conversions, but I’d be very interested to learn about any you find. Just started to get back into roleplaying. Have been in a biweekly campaign now for the last six month on Roll20. Have decided to look into GMing a game. Found The Lonely Coast free PDF and love the feel of it, so have decided to use the setting. Have started to input it into Realms Works, the way you have laid the book out, and written it makes it simple to work with. Hi Frank! Welcome back to the hobby. I’m delighted you like the Lonely Coast and I hope your players enjoy it as much! Good luck with Retribution–come back and tell me what you thought of it–it was RSP’s first product and I’m jolly proud of it. Creighton, I just discovered you and purchased Shadowed Keep on the Borderlands. Have you considered placing your adventures into Realm Works format? Or at least developing some Hero Lab files? That would be an awesome bonus for GMs to be able to purchase your material ready to run (in Realm Works) after reviewing the content and story. I am looking forward to running some new characters through this module. Thank you. Thanks so much. I hope you enjoy the adventure! I haven’t done anything with Herolab or Realms Work. I’ll take a look at them and see what’s what! Hey man your stuff is awesome! I’ve used the Lonely Coast for several years for 4Essentials and my return to B/X D&D with Swords and Wizardry mash up. I’m starting a new campaign with 5e and behind the screen it just doesn’t “feel” the same without the Lonely Coast. So I’m restarting/retromoding the game with a Lonely Coast in a Greyhawk and Golarion mash up with massive relabeling. I love your stuff, I’m glad to see you making more. I really hope you make the Lonely Coast a bit bigger, not more well defined as its space and room for improvisation is what makes it a Game Master gold mine. That being said I’m looking forward to reading more on the Gloamhold. Thanks for the kind words! I have no plans to make the Lonely Coast bigger as such, but Gloamhold won’t be set a million miles away and will reference the Lonely Coast on occasion. Any plans for 5th Edition D&D supplements or modules? We have already converted a couple but my group would love to see you try your hand at some 5E stuff. I’m waiting for WoTC to announce an OGL/GSL before going down that route. When I started RSP I almost signed the GSL, but there were a couple of very harsh conditions that made getting involved impossible. I’m hoping WoTC learnt from the mistakes of the GSL and go back to a much friendly OGL. I’d love to convert (say) Shadowed Keep on the Borderlands to 5e, but I’d like to do so legally and properly. When I know more, I’ll splatter the news all over the internet! As an avid beer fan, was are you recommending me from your home shores? I’m not feeling Newcastle Brown. I do like Sam Smith’s brewery, so if you’re kip on those, what are five that you would recommend a Tommy from overseas? Reason I ask, I plan on continuing to revise my skills and your site here is a great and fun read. Thank you! Hi Brice–I’ve messaged you through Patreon!